Maria and Chinett Ask by Ci Ci Senjor Ask/Charett Ask/Caretino ended up in a very good 6th place at this years Championship for 5-years-old horses in Zangersheide. 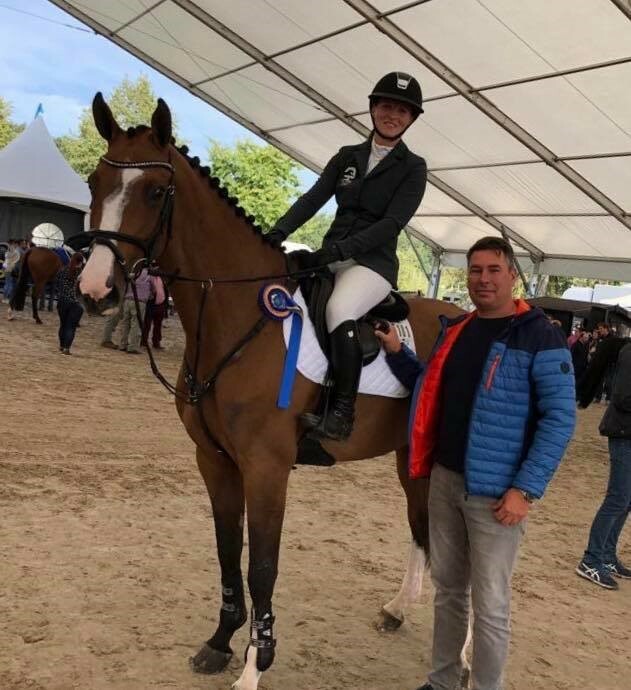 There was no less than 237 of the very best jumping horses in Europe in the class, where two clear rounds was a must to get to the final on sunday. Maria and Chinett delivered the two clear rounds and they also went clear in the main round of the final together with 23 other pairs. With 24 pairs in the jump off they had to take deliver a very fast round try to win. Maria did a very good round again with Chinett Ask, and with the fast time 39,13 seconds they ended up 6th!